Mending the Doctor's Heart grabbed my attention within the first few pages with one of the oldest romance conflicts - the hero and heroine were both after the same prize which in this case was a job. Both had put their lives on hold thinking they were the only candidate for the position. Both were suffering emotionally and looking for a release of their pain. Both thought their hearts had an impenetrable seal. Would they both survive? Or would their pain devour them? Who was the stronger of the two? This well-written story flows from emotional highs to gut-wrenching lows without warning. You never know what to expect when you turn the page, but it always touches your heart. The adversarial aspect between the two main characters could have had a negative impact if the author had allowed them to spend their time together in arguments and snide remarks. Instead, their dialogue was realistic, touching, and even humorous in a natural, spontaneous fashion. 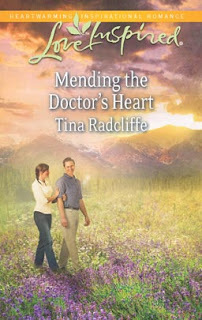 Mending the Doctor's Heart is a medical-themed read and even without being a member of the medical community, I related to the main characters, Dr. Ben Rogers and Dr. Sara Elliott, because they were people with real problems, quirks and phobias like everyone else out there. Their dreams as well as their fears play a huge role in how the story unfolds with all the complexity of today's society. I joined them for the bumpy ride, and I liked it. I may have bawled in the final chapters, but I sighed with satisfaction as I read the epilogue. A new job in Paradise, Colorado, seems like the perfect fresh start for Dr. Ben Rogers. Only problem is, Dr. Sara Elliott has been counting on getting the same job. Once they negotiate a shared trial run, Ben expects working with Sara to be less than pleasant. Instead, he finds himself drawn to her. She's dedicated and compassionate, exactly the type of woman he used to want—when family was an option. Yet Ben is surprised to learn that Sara's life is just as emotionally complicated as his own. And if there isn't room for both of them at work, how can they make room for each other in their hearts? Mending the Doctor's Heart, Apr 2013, Love Inspired is available for purchase at Harlequin, Amazon, and other online sites. Do you like books where one or both main characters work in the medical profession and the story is set in a medical facility? NEWS! Tina Radcliffe has sold another romantic short story to Woman's World. Check out the August 22, 2013 issue at your favorite newsstand. Tina's been scribbling for years. She has sold dozens of stories to the Trues & last count: eight romantic shorts to Woman's World. In 2010 she achieved her goal of selling her novel length fiction to Harlequin Love Inspired. Originally from Western New York, she left home for a tour with the Army Security Agency stationed in Augsburg, Germany. While living in Tulsa, Oklahoma she spent ten years as a Certified Oncology R.N. Her next move was to Colorado, where she spent six years as a library assistant and cataloger and worked for a national mail order pharmacy. Tina's manuscripts finaled in the Golden Heart twice and in 2012 her second release, Oklahoma Reunion, was a Carol Award Finalist. 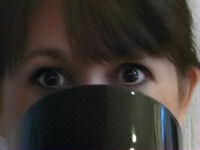 She continues to write fiction & non-fiction from her new home in Arizona (she keeps moving west!) and hangs out in Seekerville. I have to agree. Once you read on of Tina's books, you'll want to read them all. I actually have used one and highlighted in it (TINA WILL USE THIS AGAINST ME...) because I was trying to figure out her secrets of success. She really knows how to evoke emotion in the reader with all aspects of a scene. Hmmm, sounds like an "educational" read. But it sounds like just a wonderful story, too. Not sure what you mean about educational, DeAnna. However, one of the Seekers did a post once on the 7 main conflicts and on that list was '2 dogs after 1 bone'. Of all the times I've seen this confict used, I have to say Tina wins for excellence in nailing it.